This is a frontispiece from The Art of Angling, a fishing guide book, written by Richard Brookes in 1790. As we see in it, there are some flies like Ant fly, Palmer, Green Drake, Great Dun, Howthorn, Dun Cut that used by anglers nearly 250 years ago. 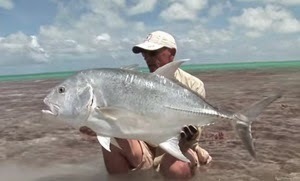 What do you know about this fish? Let's talk about Eastern Australian Salmon, known as Kahawai in New Zealand. Other Names: Newfish, Bay Trout, Blackback Salmon, Mynameisfish.com, Buck, Cocky Salmon, Colonial Salmon. Where doet it live? 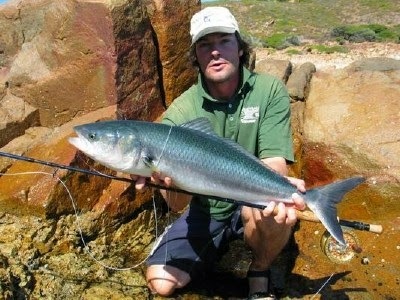 - Found in cooler waters, between depths of 30 m and 39 m. They enter rivers as well. What does it like to eat? - carnivore. Feed mainly on fishes but also on pelagic crustaceans, especially krill. 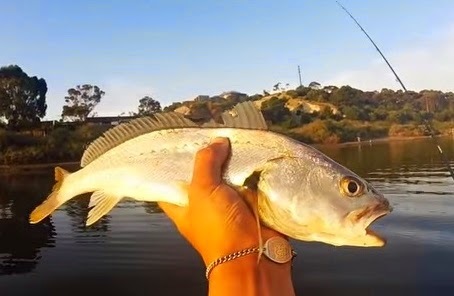 A good friend of mine has visited Australia last summer and he told me that catching mulloway is a very exciting experience, its like catching grayling in Scandinavia. Today I saw this and I now understand what he means. This guy from South Australia, fishing in Onkaparinga River from the yak, gets lots of mulloways. Each fish looks very, very active and curious. I love this kind of catching. Beautiful day, beautiful fish, perfect filming. Thanks to Harry Steele for sharing this action with us. 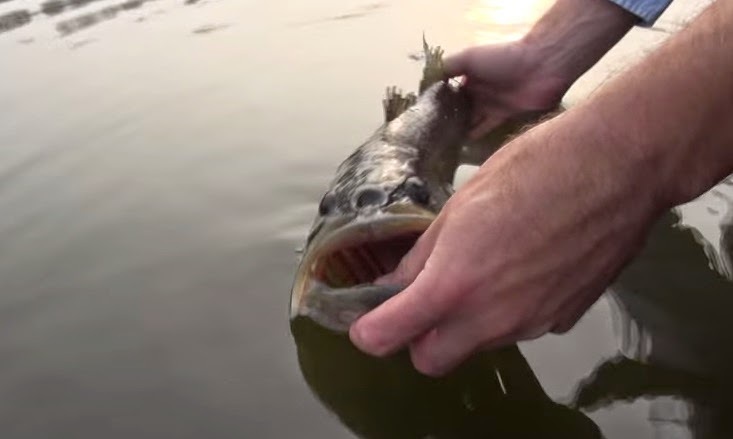 What do you know about Autumn Topwater Bass Fishing? 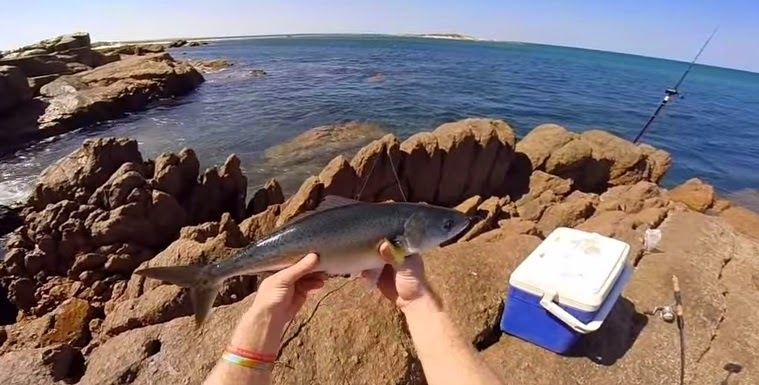 This is how to catch Australian Salmon while rock fishing. Aren't they so lucky? A beautiful sunny day, gorgeous rocky shore, thousands of salmons swimming within feet of the rock..what a sight! what a joy! Are you into topwater bass fishing? Fall has arrived, basses are hungry, are you ready for some hot action? Are you into top water bass fishing? here you go.. see how it strikes.. see what kind of scenes you might witness if you know how to do; where to be.